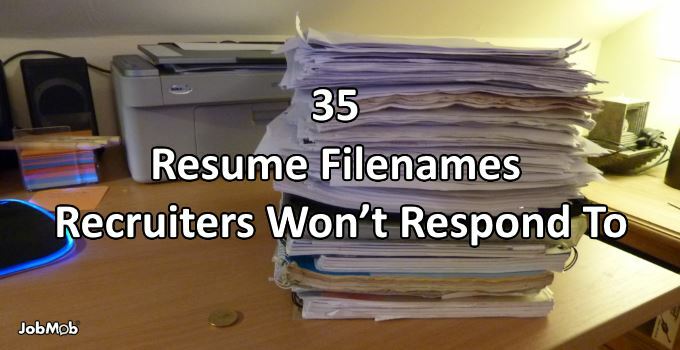 If your resume's filename doesn't make sense to a recruiter, they probably won't read it. As much as you might want to think otherwise, recruiters are people like you and me. They get too much email to read it all, they have anti-spam filters in their inboxes and they misplace downloaded files too. If your emailed resume or CV has a filename that’s unclear at best or incomprehensible at worst, recruiters aren’t going to bother spending even 6 seconds on it, and if they do actually download the attachment, they’re more likely to overlook it later. This is one of my BIGGEST pet peeves. I get a TON of resumes daily and the amount of times I get a “resume.pdf” or “Mark CV April 2016” frustrated the heck out of me-which Mark is it? I spoke with at least 6 this week? Why is he sending me a resume last updated in April when it's January? 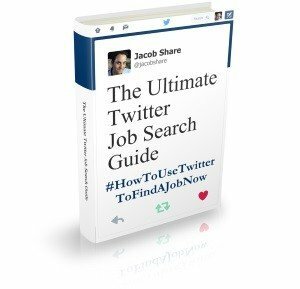 Over the past 7 years, I’ve received hundreds of resumes from job seekers looking for feedback. Below are the worst resume filenames I’ve seen, with the personal names changed to protect the senders. Does your most recent resume filename include your name? I should hope it’s updated if you’re sending it, but don’t say that. And I should hope it’s been revised if you’re sending it, but don’t say that either. Do say whose resume it is though. Always, always, send in your Last revision. Just keep in mind that whichever revision it was, 3rd or whatever, it is the Last one in the recruiter’s eyes so there’s no point in mentioning it. Also, no need to tell the recruiter which language you used, just be sure it’s one they understand. Because it’s important to show how much work you put into this, right? 3 revisions is supposed to be a lot? Or maybe you’re so good that you only needed 3 revisions to reach this level of perfect resume? Ditch the number and you’ll be ok.
There’s no need to save space. You can use your whole name. There’s no need to save space by going initials-only. You can use your whole name. And the recruiter is supposed to know this is a CV because… ? Is it ENG for English or Engineering? Besides, no matter what year it is, including the year is going to make it look dated. Besides, no matter what year it is, including the year is going to make it look dated, but if you must do it, kudos on using the correct local, non-Gregorian calendar. And don’t think we didn’t see what you did there, including both ‘CV’ and ‘Résumé’ to cover all the bases. Very clever, eh? But if you were wise enough to adapt to the local calendar, you should be wise enough to adapt to the local resume term and go with that alone. Maybe there are other Johns? Maybe that’s an expiry date? …but dating it to the day is definitely the worst. Beating a dead horse, you know by now that the date is wasted space, but you almost made up for it by using the under-appreciated RTF format. Technically it is a download, but why state the obvious? Actually, if you read the whole thing quickly, it sounds like a competition (“It’s the latest ‘Resume Download Australia!'”). Don’t specify a geographical place unless your job search is global, or at least, you want to give the impression that it is. It’s not a bad idea to brand your expertise but give your full name and ditch all the _-_-_. Is it a resume or a summary? And if the latter, at least spell it correctly. Ah, but whose CV is it? Aside from the fact that a resume isn’t only data – in fact, most people don’t mention data at all, even when they should – this could be almost anything. Don’t make recruiters rename your files for you. Are those initials? An acronym? Just use your full name and dispel all doubt. Please. What is a ‘new’ cv? What happened to the old one? Because they’re all new to a recruiter. Is this a code, or some kind of shorthand? Was it rewritten on July 21st, 2011, after an initial writing in 2005? On second thought, I will- maybe this is a chemist trying to show off the compounds they’ve worked with? All I can tell you is that those aren’t the job seeker’s initials. And the number? Your guess is as good as mine. Looks like an anti-virus report. Ok, I admit that I’m nitpicking here: dashes are better than underscores from an SEO point of view, but that’s all I got. By adding the word ‘design’, a reader might think you have other types of resumes. By cramming it all together, a reader might hope you have other types of resumes. Sounds like a resume template for data analysts… or someone who used a resume template for data analysts but was too lazy to rename it. With that much information in the title, there’s seems to be no reason to actually go ahead and read the darn thing. State your full name, and get rid of anything that looks like random letters. State your full name, and get rid of anything that is grammatically incorrect. Phew! Glad you bothered to update it for us. Get rid of that and you’ll be fine. The Underhill name/word wasn’t included anywhere in the actual resume, and the fact that it wasn’t also CAPITALIZED makes me wonder if it’s supposed to be a name at all. Just serves to confuse. Too long, there’s a typo, hard to read, dated… just a great example of what not to do. So if I think resumes should only be one page long, I know right away not to read yours. Thanks for saving me the time. No one wants to hire anyone who can’t make the minimal effort to look professional by Capitalizing Titles. What’s the worst resume file name example you’ve seen? Have you made any of the blunders above? Tell us in the comments. 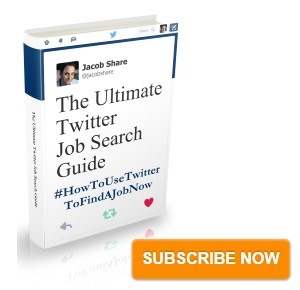 Subscribe to JobMob via RSS or email and follow me on Twitter for the best resume resources online. On my end this helps when I have multiple versions of the client files because they are returning clients but I can see the logic in not sending it out that way. However, in 30 years of writing resumes, I have never had an issue with an employer or job seeker for doing it that way. Julie- Thanks for sharing your best practices. Awesome. Since your recommended filename format starts with [Name] + ‘Resume’, it’s pretty clear what’s in the file, so no surprise that this works. And as long as the appended year is the current year, I doubt it would be problematic, and it sounds like that’s your experience. While I definitely would not want to send a resume that has misspellings or anything that casts me in a negative light, some of these definitely make sense. Not going to go into each of them because it’s truly a waste of time/effort. I will mention one though because I find it so amusing – any recruiter that dismisses a resume because the title of the file is not in Title Case definitely should not be in recruiting; that person needs a job doing something like editing where absurd details can be called out and they have the ultimate say. I think it has a lot to do with the role that you are recruiting for. I rename all the resumes received to first name last name date received before I even have glanced at the resume and uploaded to the ATS. Anyone who has ever done online research, received advice from a college career center advisor, or gone through a job center resume writing course will get very different viewpoints and instruction as to what the “correct” file saving or formatting method is. Just my opinion, but as recruiters, unless we specifically request a resume or CV be saved in a specific format, it is our job to look beyond. If specific instructions were requested, then that was the first stage of the interview process to see if/how the candidate follows direction. Hi Jacob. Why do you think it’s important not to have a date in the file name? Dating the file doesn’t help the job seeker in any way. The later the recruiter sees the file, the less updated it will appear and how many will reach out asking for a more recent version?